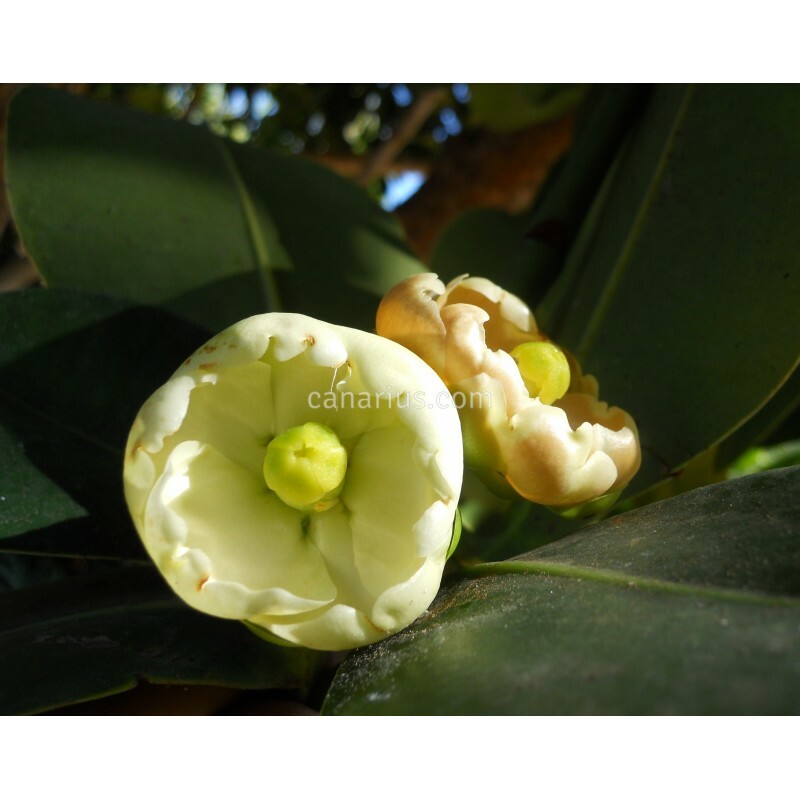 Caribbean shrub or tree with glossy, leathery rounded leaves, often with white aerial roots. It is called "autograph tree" because you can write with a stick on the leaves and it will last forever! 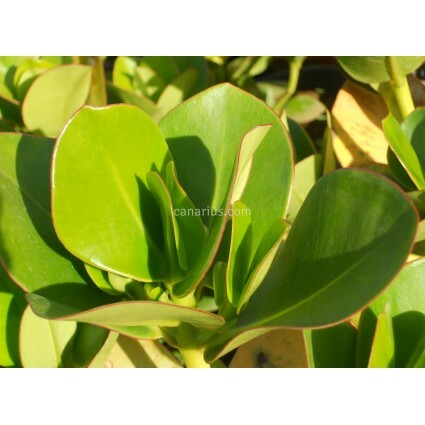 Clusia can grow in most conditions, from sun to shade, in pots, even as an indoor plant. It can take drought and long floods. It also stands intense heat and cool conditions (but it is frost-sensitive). 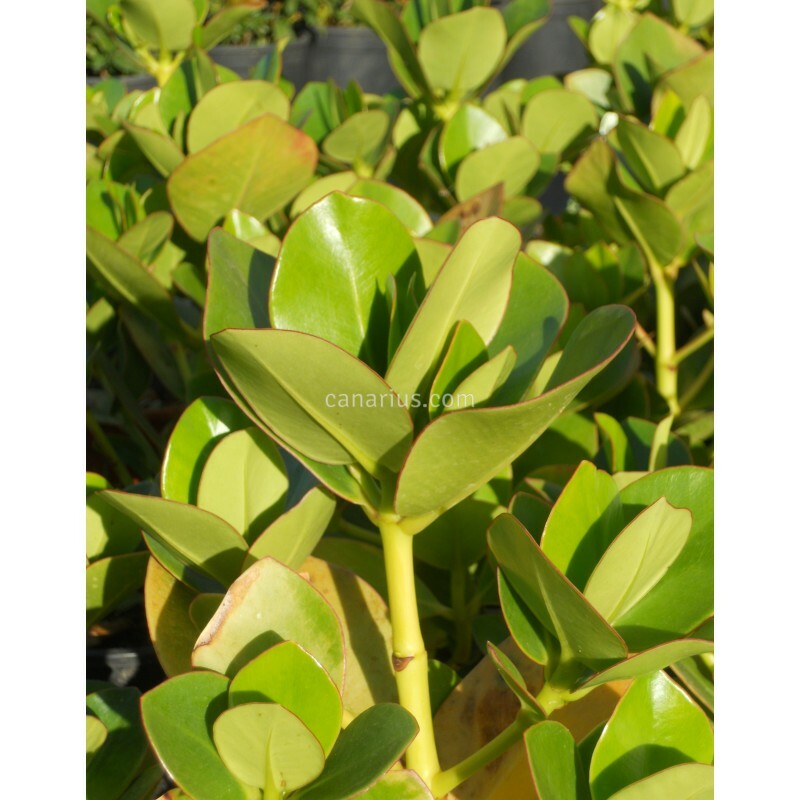 Caribbean shrub or tree with glossy, leathery rounded leaves. In habitat it often grows on rocks or starts its life on other trees, so it may develop long, white aerial roots, much like the famous strangling fig trees. Flowers are also alltractive. It is called "autograph tree" because you can write with a stick on the leaves and it will last forever! The upper skin of the thick leaf is easily marked, even with your fingernails, then it will last even when the leaf dries out. In some countries it is often used as a "notebook tree", to write short notes as post-its. Of course kids do mark the leaves and play cards. Clusia can grow in most conditions, from sun to shade. It can grow as a house plant if the light is bright enough. It is surprisingly resilient. It can take any heat and drought but it can grow by ponds, half flooded. It takes cool conditions but it is frost-sensitive. We offer a two years old seed-grown plant of 35-70 cm, cultivared in a 14-16 cm pot. We ship it bare-rooted, wrapped in sphagnum or perlite.